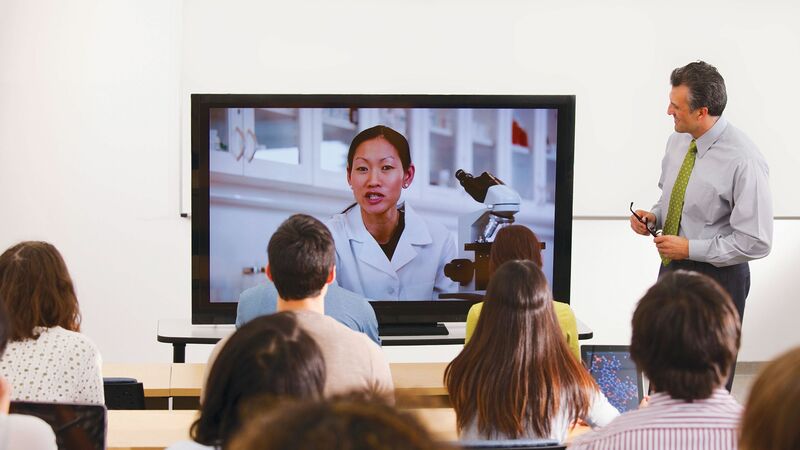 A teacher uses video phone calls to bring a growing network of inspiring professionals into her classroom. Each spring, I conduct a unit on careers with my sophomores and seniors. In the past, I have asked students to jot down their areas of interest, and then I put out a mass call on Facebook for guest speakers. Typically, I got about five folks who could come in and speak with my students, but I also heard back from 50+ people who would have loved to come in but lived too far away. It always felt like such a shame to lose the opportunity to host someone who practiced a career in a field that interested a student of mine because of distance. So a year ago I decided to bypass that obstacle. Skype was the answer. My classroom has a Smart Board, but my school laptop lacks a camera, so I recruited our tech department to help me wire my home computer, which does have a webcam, to the board. I created a Skype account, and we interviewed six of my friends who have careers in a variety of areas. It became clear that while the discussions that centered on the ins and outs of daily career tasks were indeed interesting to my classes, the most illuminating aspects of the interviews had to do with the speakers’ journeys to their current jobs. I saw my students light up when they heard about the real-life twists and turns these adults made on the way to making their futures. Soon, students who were not enrolled in my classes began to ask to attend the interviews. What had begun as an attempt to bring real-life professionals into the classroom suddenly had all kinds of potential. Why not record these videos and create a video library for all students to access when their curiosity took hold? One of our speakers discussed how she was called “low class” and essentially told by her best friend’s father that she would never get into a college out of state. She talked about how she was the first in her working-class family to go to college -- she went to Dartmouth, and her father insisted she stay when she began to feel overwhelmed and like a complete outsider. She then told the students about how she joined Teach For America, later spent a year in Italy teaching English, and went on to attend law school. One student came to me after this interview and said she was more determined than ever to get into her dream college. The aunt of one of my students spent a morning with us from overseas, where she was employed as a translator for the U.S. Army. She was incredible and even took a walk with her laptop to show my students her surroundings. She also talked about her experiences in Iraq. Students were riveted. Several students are now interested in pursuing careers in the armed forces, and they know their language requirement classes might give them an edge they hadn’t previously imagined. Students are hungry for adults other than their teachers and parents/guardians to discuss their various life paths. The act of Skyping and networking also led to some amazing new contacts in town, and my in-class visits have increased. It’s such a joy to reflect on how this unit has transformed since its inception. 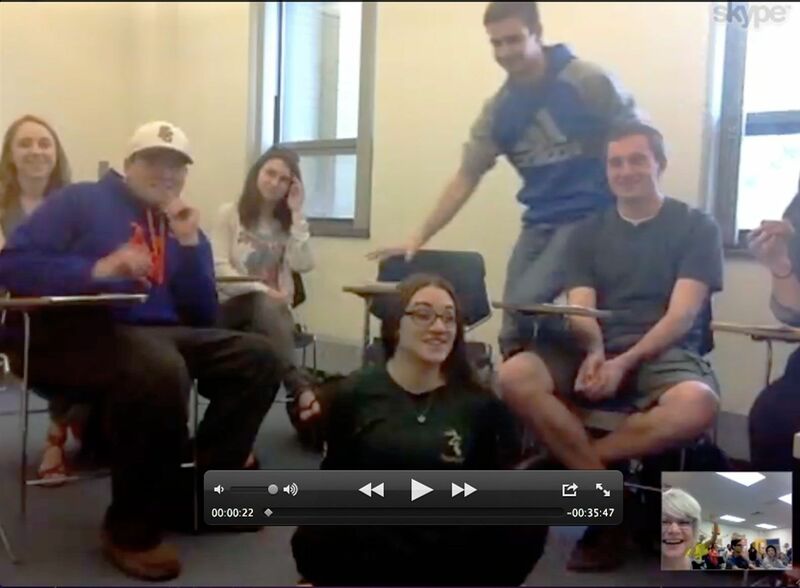 This year my personal favorite Skype was with an entire freshman college class in New York. My Arizona students got to ask college students questions about getting into college, sports scholarships, balancing study time and recreation, and loans. Jessica Burnquist's students talk to college freshmen. Over the past two years, students have heard from a veterinarian, a woman getting a Ph.D. in video gaming and research, two nurses, a manager of a hospital emergency room, a poet at UCLA, a professional Instagrammer, an artist and activist in Texas, a physicist in Pittsburgh, a local singer, two comedians involved in the Groundlings in Los Angeles, a defense attorney, a literature professor turned admissions counselor at a college in New York, and a chef. The list will go on, and hopefully student access, motivation, and determination to pursue an area of interest will increase as well. Using technology as a tool to engage and spark student interest in their own futures is so easy. If you are doing something similar or decide to create your own career unit, I would love to hear how it goes. Please share your experiences in the comments.